A few years ago I reviewed Safeguard’s Stealth armor and it has been a great set of light armor to wear when the need arises. The Ghost model is a bit lighter, but many people wonder whether they should invest in body armor. Most of us would like to believe that bad and evil will only attempt to do us harm when we are home with our AR15 slung over our shoulder with one in the chamber, the Vortex sight on, and two insane dobermans to prevent any surprises. As we have seen over and over, “it” happens anytime and anywhere and you need to be prepared and trained to save yourself and your loved ones. Part of that is the realization that the bad and evil shoot back or attack with edge weapons while you fight for your life and this is where Safeguard Armor Ghost makes perfect sense as a layer of protection for both ballistic and stabbing threats. For me, I wanted to know that I had an acceptable concealed armor option for home use even outside the home in a high risk situation such some security work. 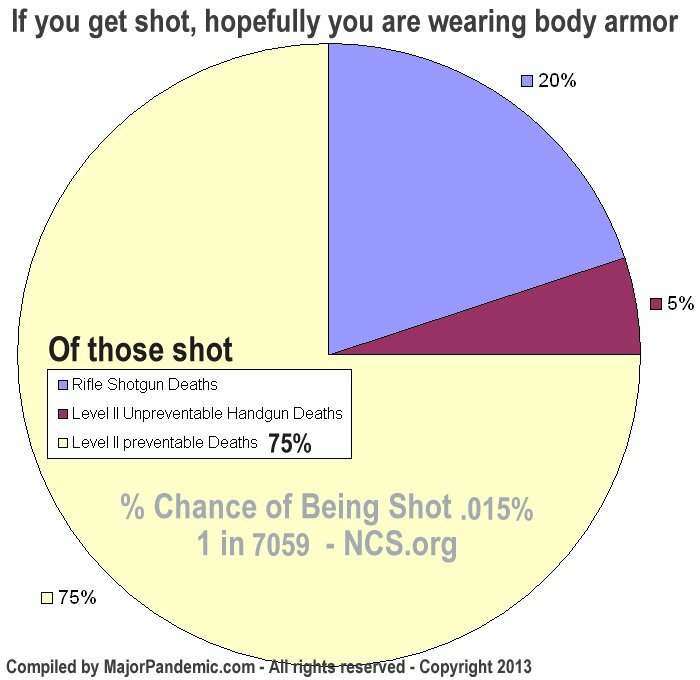 From a survival perspective, body armor is making more and more sense statistically to survival a violent attack. In fact statically 75% of all gun related deaths could be prevented with just Level II body armor. It may become the best firearm accessory you have ever purchased. I ordered the lightweight Ghost in level IIIA would up the protection level a bit for this concealed armor for my wife because she is on the security team as well. Founded in 1986 SafeGuard ARMOR is a world-leading premium body armor designer with manufacturing operations in U.S. and Europe. The company has have been selling body armor to thousands of individuals and companies across the world and has grown from a small operation selling bullet proof vests to local companies, to being one of the largest body armor companies in the world providing body armor to military, law enforcement and civilians worldwide. Safeguard has distribution centers around the world including all over Europe, Canada, and of course the United States so it is easier to purchase within your own country. That noted They ship to the US from pretty much everywhere and my order was fulfilled through their European operations. Contrary to common belief, purchasing and owning ballistic and edged threat body armor is not illegal in all but a very few select states. Check with your state and local state's attorney or police office and if they "claim" it is illegal have them provide the state or local statute that limits/outlaws it. Referencing a specific statute prevents the officer or paralegal from mis-stating the law. In my state there is no legislation limiting the possession or use of body armor, other than the Federal mandate that no felon own body armor. In the US, a non-felon in a free state can purchase hard or soft body armor, however only soft armor can be legally imported without working for law enforcement or military. If a US citizen attempts to import hard body armor, you will get into some hot water though unless the armor is hard steel there is some flexibility in that interpretation. Not being a felon, I placed my order with SafeGuard without hesitation. Although Safeguard has operations all over the world including the US, my order was fulfilled via their UK headquarter location, cleared customs, and was delivered via FedEx to my doorstep. I purchased the SafeGuard Ghost, a soft body armor vest with 360 degree Level IIIa ballistic protection. Following the fitment chart on the site I selected the appropriate size for my wife. When worn, my wife was surprised how thin the Ghost armor was under a jacket, sweater, or secondary long cover shirt. It does make you look like you put on 10 lbs, but it does not stand out like the thick "overt amor" life preserver look the cops are wearing around. The vest was also very lightweight compared to other vests I have worn and handled which just adds to the overall comfort of the vest. The Ghost’s liner is also features a washable CoolMax. The washable liner part I would say is key because the liner stunk upon arrival. Not sure whether this was an effect of the the shipping process or manifacturing, however the chemical order was extremely strong until the liner was washed. Liners will need to get washed from time to time and the Ghost Coolmax liner is hand washable. Remove the ballistic plates via the Velcro closures and then hand was the liner in a sink with mild detergent such as Woolite. Care should be taken with the Velcro while washing or it will catch on everything. CoolMax has is not the most durable of fabrics so care should be taken while hand washing. Safeguard does offers replacement liners if you do manager to wear out a liner. The CoolMax liner does somewhat negate the need for wearing a Coolmax t-shirt under the vest to improve comfort when temps heat up, however my wife likes to wear a very thin silky t-shirt underneath to improve overall seasonal comfort. The SafeGuard Ghost was specifically designed for covert/concealed use and offer white or black options and is available in S-XL sizes and even Long sizes. To drop weight, Safeguard uses the thinnest materials they can combined with an overall more conservative cut compared to the full coverage Stealth armor I have reviewed before. Though I ordered a “Long” size for my 6’ 1” wife, the overall cut was still pretty short but did cover all vitals well. The Ghost design strives to deliver a compromise of concealment, light weight, and coverage which is a tough thing to do with full IIIA ballistic and an edged weapon Level I rated body armor. The full coverage Safeguard Stealth offers good concealment, the Ghost takes it a step further with even less bulk and a thinner vest. Thick and heavy is easy to do when it comes to body armor, however thin, comfortable and light is a tough mix to get right. SafeGuard hit the mix with the development of the Ghost delivering on all those goals to maximize comfort, protection and concealability. 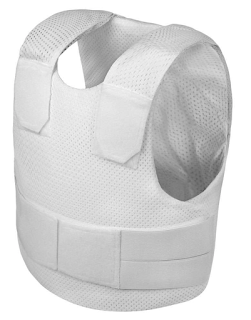 SafeGuard has a variety of body armor options available from the very light Ghost model to the heavy full groin, shoulder, and arm Military models. The Stealth is ideal for users who want to hide the fact they are wearing a piece of body armor, such as door supervisors and close protection officers, the Ghost is more of an every protection that only sacrifices a little coverage for a bit more comfort and concealment. 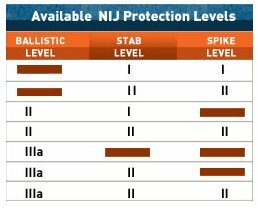 SafeGuard's protection ratings conform to NIJ ballistic protection standards. The Stealth is offered in a variety of protection options including ballistic protection II - stopping handgun fired 9mm 124gr Remington and .357 158gr SJSP Remington rounds or Level IIIa - stopping up to .44 Magnum rounds. You can find more about each of the specific threat rating on their site. The Stealth armor is also offered in several Stab and Spike protection levels. Both vests I have purchases from them have been rated to Level I stab protection. Both the Virginia Department of Justice and Pennsylvania Medical Center studies of their respective state homicides found that roughly 80% of all firearm related homicides were from handguns. 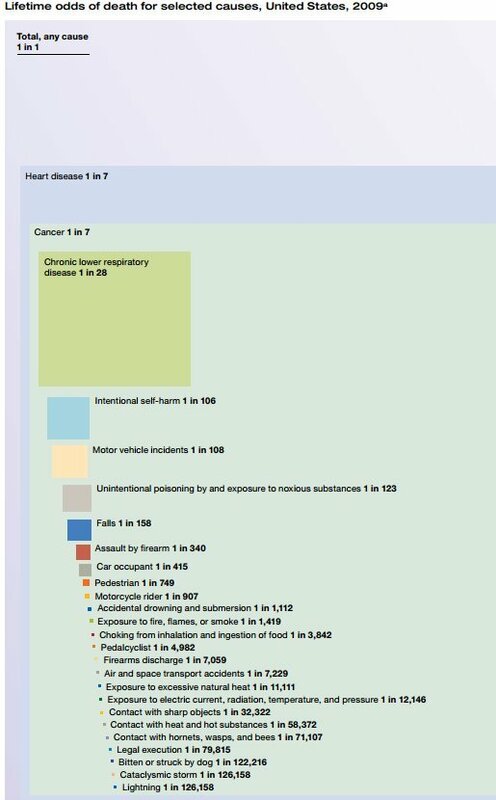 Of those homicides both of their data indicated that over 98% of handgun deaths would have been prevented by a NIJ Threat Level II protection stopping handgun fired 9mm 124gr Remington and .357 158gr SJSP Remington rounds. 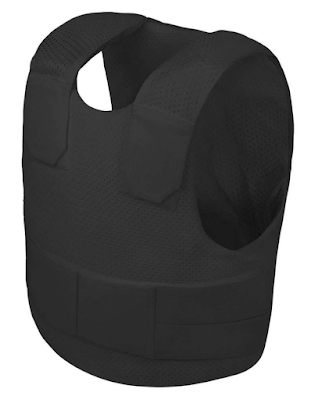 With every extra layer of protection comes more weight and bulk, so I opted for the Level II ballistic protection and Level 1 stab protection which is designed to protect the user from the vast majority of ballistic and edged threats. The protection thickness to threat curve it non-linear which means that each extra level of protection provides an incrementally smaller increase in protection but a noticeably increasing thickness of the vest. There is always a compromise however based on the very rare situation that I may actually find myself being shot at and pairing that with a my Stealth Level II armor can stop 90% typical threats, I feel well protected unless I suddenly found myself in a war zone. For my wife, I upped that protection level to IIIA since the Ghost has an overall less thick. I am not sure how Safeguard did it, but the Level IIIA rated Ghost is actually thinner than my Level II rather Stealth. Those that are uber paranoid may want to opt for an armored personnel carrier, just bump up to the next threat level rating, or pick up a supplemental hard armor plate to tuck into the vest. Safeguard has a rather interested and very lightweight 2.5lb AlphaCore Poly Level III Plate I hope to review in a month or so. For covert discreet and concealable armor the Safeguard Ghost is of the best and thinnest I have seen. Generally my wife and I do not live, work, shop, or play in high risk homicide ridden areas, however bad things happen everywhere. We are both on a security team which unfortunately does require us to be armed and sometimes compelled to don ballistic armor due to the odd threats. There have been situations what I feel safer with an added layer of protection. Both my wife and I love the ability to slip on the vest when investigating that random bump in the night. In my rural neighborhood we have a 40 minute police response time and the ambulance is not much better… any extra chance I can give myself while defending myself during an encounter or surviving it after the fact is a great investment from my perspective for home defense all for less than my insurance deductible it priceless in my opinion. This product comes with a 5 Year Warranty. All SafeGuard ARMOR™ products are tested in full compliance with the US National Institute of Justice (NIJ) 0101.03/04 standards. If any SafeGuard ARMOR™ products under warranty are deemed to be defective or faulty then SafeGuard ARMOR™ will replace or repair it free of charge. This is done at our own discretion. Do not fully immerse the vest in water. Store body armor flat at all times. 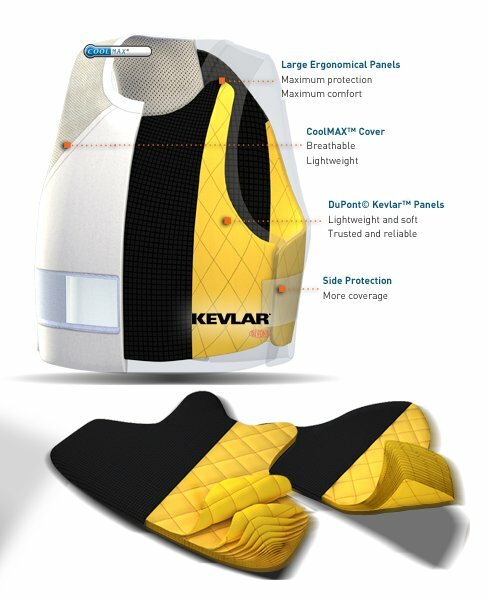 Do not put DuPont™ Kevlar® panel inserts through the wash (can be lightly sponged with warm, soapy water if necessary). Inspect armor for damage or defects prior to every use - NEVER WEAR DAMAGED ARMOR. Always ensure DuPont™ Kevlar® panels are inserted the correct way (instructions on the panels).